We are counted among the eminent suppliers of a wide gamut of Computer Peripherals. Owing to our cordial business relations with several reputed brands, we are successful in meeting variegated demands of our valuable clients. In order to achieve maximum customer satisfaction, we are engaged in offering personalized services to our clients so as to meet their requirements. With an aim to deliver quality and defect-free products to our clients, we are focused in stringently testing all these Computer Peripherals on the basis of various quality parameters. We have a spacious and well-developed warehouse facility where all these offered products are stocked safely and securely. Entire infrastructure is kept under strict vigilance of cameras so as to ensure safety of the stored goods. 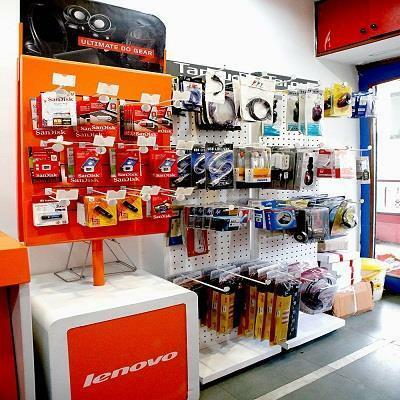 Adequate temperature, humidity and various other requisite conditions are maintained so as to retain the quality of these stocked electronic goods. The entire structure is partitioned into various sections as per the type of stored item. This approach allows our team of warehousing experts to easily track and trace the products. Owing to this ready stock availability of these products, we are able to offer prompt delivery services to our valuable clients.